Enactus University of Saskatchewan recently attended the Enactus Canada National Exposition where the team presented on the triple bottom line impact of their projects to a panel of industry judges. Headquartered at the Edwards School of Business, Enactus U of S is a team of over 60 students from colleges across campus who are using entrepreneurial action to create better and more sustainable communities in Saskatchewan. 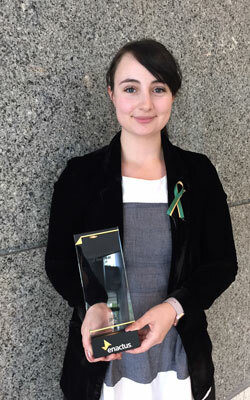 This student-run, not-for-profit organization has expanded a number of community-engaged, results-driven projects over the past several years including the Aboriginal Youth Idea Challenge, Food for the Future, CentsABLE and the Stock Market Challenge. The team closed the competition in Toronto as the second-runner up in their league, which placed them in the top 25 schools in Canada. 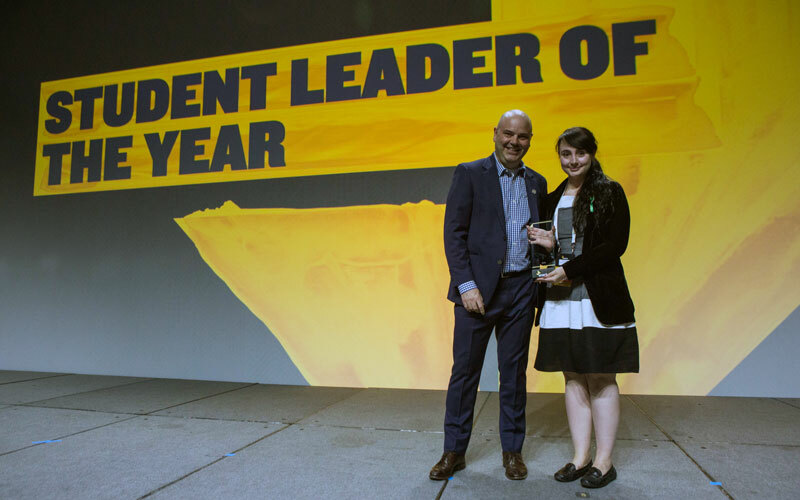 In addition, Edwards student and president of Enactus U of S, Dani Nichols was named Student Leader of the Year at the national event. The award recognizes a student president who has made the most outstanding contribution to their Enactus team. Edwards lecturer Tyler Case was also in attendance along with the student team and led a round table discussion on team management at the National Faculty Advisor meeting. Congratulations to the entire Enactus U of S team and faculty advisors on positively impacting the community through entrepreneurial action. For more information, please visit http://www.enactussask.com.